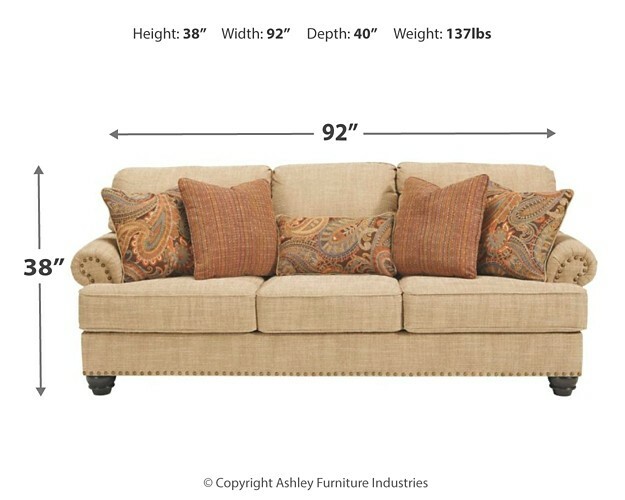 Sporting traditional elements including roll arms with wraparound cushions, this sofa gives classic style here-and-now relevance. 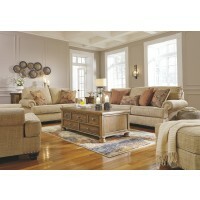 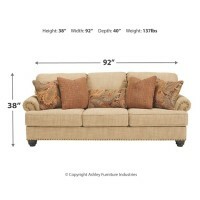 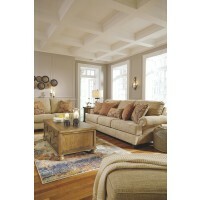 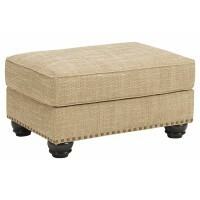 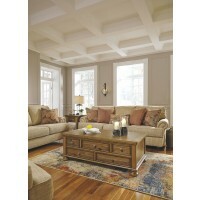 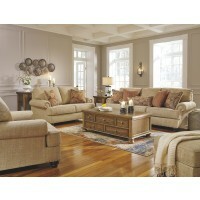 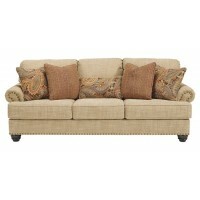 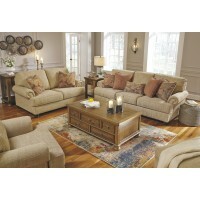 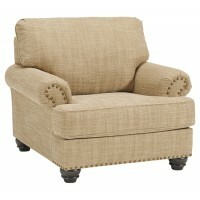 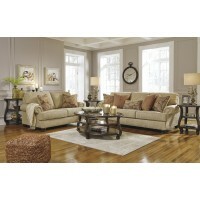 Its “heavy slub” upholstery in an earthy oatmeal shade is loaded with woven texture for a relaxed sensibility. 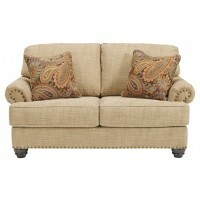 Loose back cushions and reversible seat cushions are as casually cool as they are practical. 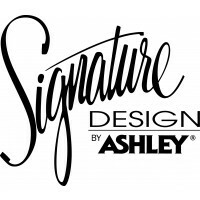 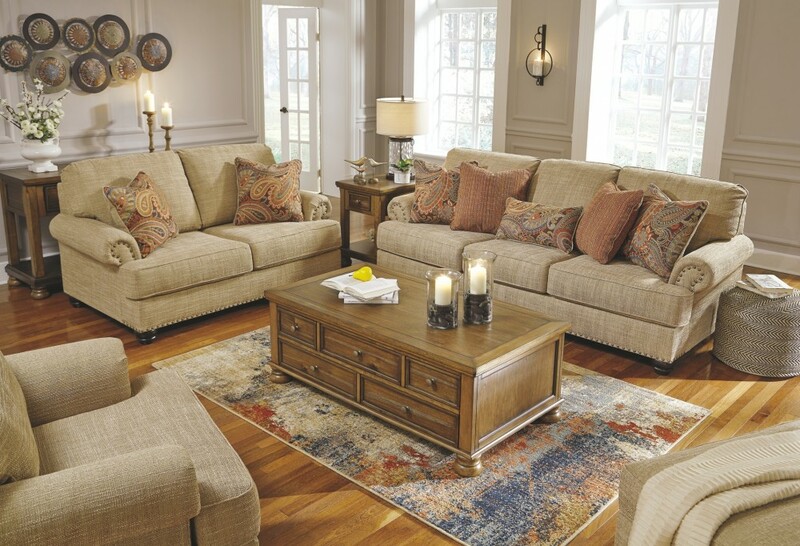 Mix in spice-tone paisley and textural solid pillows—and nailhead trim for a punch of character—and you have a look you’re sure to love for years to come.